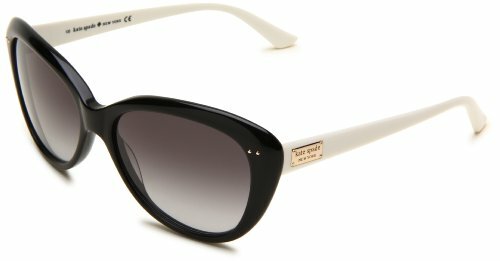 Kate Spade Sunglasses style Angelique/S is a stylish, plastic cat-eye frame. The Rx-able Angelique/S features a saddle nose bridge and plastic temple tips for extra comfort. The Kate Spade logo is engraved in the metal temple. Kate Spade Sunglasses have lightweight plastic lenses that always ensure 100% UV protection. .